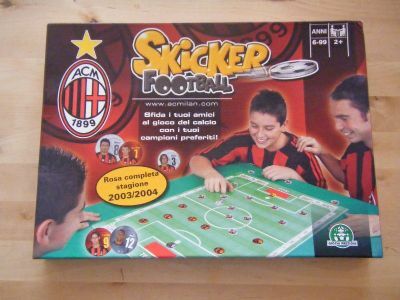 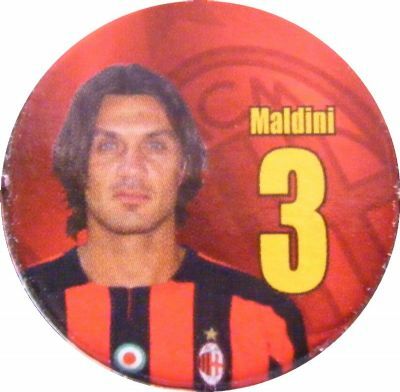 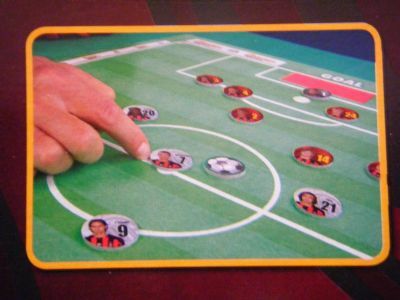 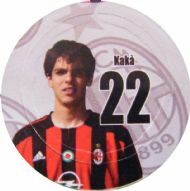 A nicely produced Italian game available in many club versions. 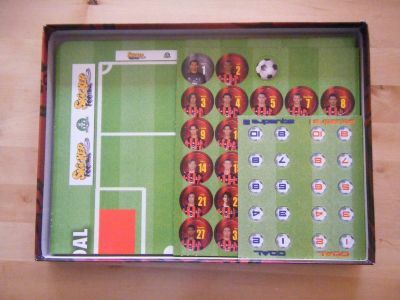 Basically Subbuteo with flat discs instead of players. 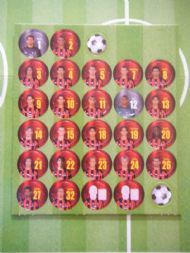 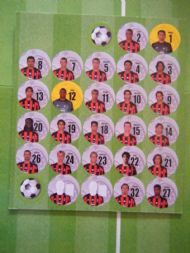 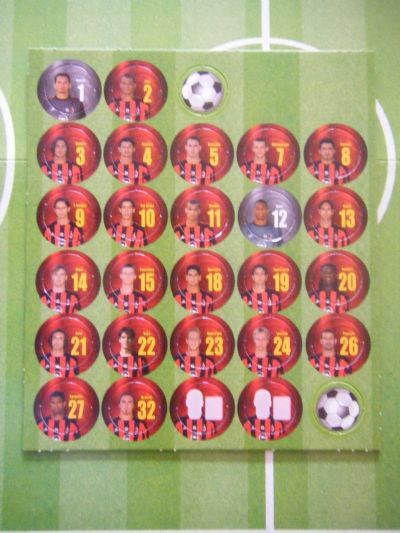 Milan squad with white background. 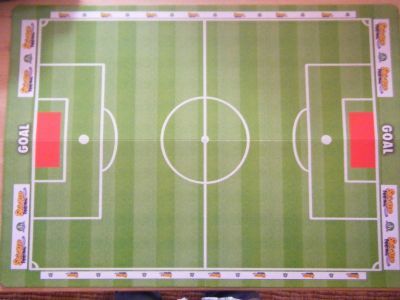 A nice touch so you can play straight away and also play home and away against other teams. 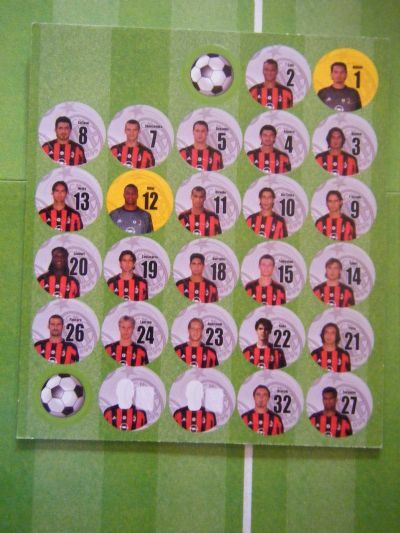 Highly collectable in their own right as well as part of a game.